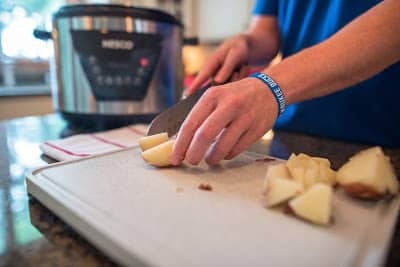 Place potatoes in pressure cooker with water. 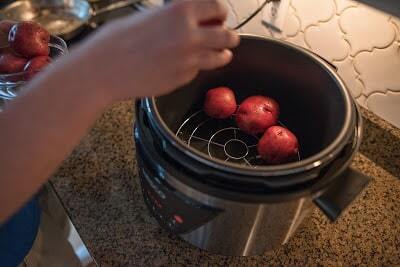 Cook on high pressure 4-8 minutes depending on the size of the potatoes. Let steam release for 3 minutes. 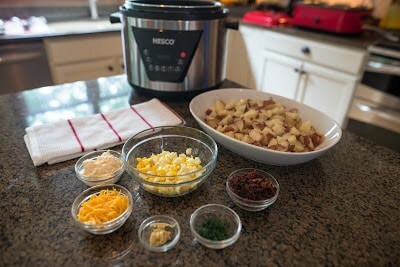 Then quickly release pressure and open cooker. Dice potatoes when they are cool enough to handle. 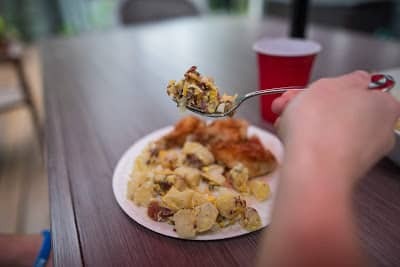 Potatoes should be somewhat firm and not overcooked. 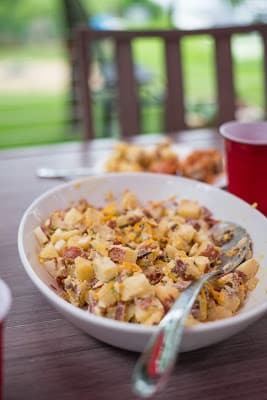 Alternate layers of potatoes, onion, cheese, and bacon in a large bowl. Season each layer with salt and pepper. Top with the chopped egg and sprinkle with dill. Mix together the mayonnaise, mustard, and apple cider vinegar in a small bowl. Gently fold the mayonnaise mixture into the potatoes. Chill at least 1 hour before serving.